WASHINGTON, D.C. — In a new, nationally representative survey by Consumer Reports on the FCC’s effort to rewrite net neutrality rules, 58 percent said the government should not allow Internet service providers to charge companies to deliver their content with greater priority than other companies. Only 16 percent agreed that the government should allow paid prioritization deals, and a quarter of the respondents had no opinion. Consumers Union, the advocacy arm of Consumer Reports, shared the survey findings with members of the House Judiciary Committee in advance of a hearing today on net neutrality and antitrust law. 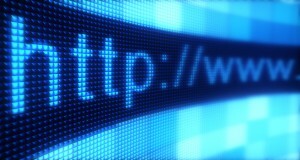 In a letter to House Judiciary members, Consumers Union said a regulatory framework is needed to achieve the goal of an Internet that is available to everyone on equal, nondiscriminatory terms, and the FCC should restore net neutrality rules that ensure an open, accessible Internet for everyone. Consumer Reports conducted a nationally representative online survey of 1,000 U.S. households on their opinion of the FCC’s Open Internet rules in May 2014, weighted to ensure accurate and reliable representation of the total population 18 years and older. As strong supporters of both net neutrality and the antitrust laws, Consumers Union, the advocacy and policy arm of Consumer Reports, appreciates the Subcommittee’s holding a hearing to bring further attention to the issue of how best to advance the goal of net neutrality. With the Internet becoming ever-more central to American life, it is essential that we not devolve into a two-tiered society where some get special preference over others. And consumers agree. In a recent national Consumer Reports survey, 58 percent were opposed to allowing Internet service providers to charge extra for preferential treatment. Only 16 percent of those surveyed thought this was a good idea. Consumers Union has been very engaged in working with the Federal Communications Commission over the years to ensure that net neutrality is the law of the land. We were deeply disappointed when the court overturned the FCC’s net neutrality rules, and have been working ever since to convince the FCC to restore the rules by using Title II authority to reclassify the Internet as a public utility. We have also asked the FCC and the Justice Department to investigate the recent Comcast-Netflix deal involving Netflix paying for faster access to Comcast customers, to determine its impact on net neutrality and competition. As the Subcommittee considers the role the antitrust laws can play in advancing the goals of net neutrality, we hope you will bear in mind that the antitrust laws address specific kinds of harmful marketplace conduct – agreements in restraint of trade, monopolization and attempts to monopolize, and mergers that may substantially lessen competition. However, there are other kinds of harmful marketplace conduct that the antitrust laws do not reach. Net neutrality is one area where the antitrust laws cannot be counted on to provide the complete solution. An Internet service provider raising prices on targeted content providers or on targeted consumers may or may not be violating the antitrust laws. But even if that conduct is not violating the antitrust laws, it is harming consumers, and it needs to be prohibited. That is why we support the Federal Communications Commission’s vigorous use of its broader public interest authority in this area. The principle of net neutrality reflects an overriding policy judgment that the benefits of the Internet, for consumers and for the overall economy, are best achieved if the Internet is available to everyone on equal, nondiscriminatory terms. We need a regulatory framework that promises to achieve that goal. The antitrust laws are not inconsistent with that goal, and can also help promote it, but they are not by themselves sufficient to fully achieve it. We need the FCC to restore network neutrality rules that will ensure an open and accessible Internet for everyone.